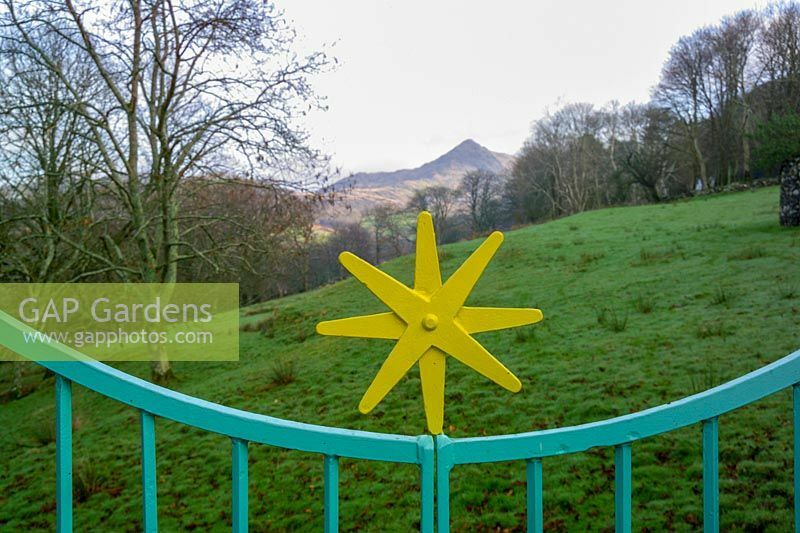 Painted metal gaes overlooking Snowdonia mountains, vistas and views of the surrounding landscape. Plas Brondanw, North Wales, UK. Image 1301679 has been added to your cart.